There was Mom, Dad, him and four sisters and sometimes there wasn’t enough food to feed them all. And that isn’t an empty phrase, sounding important but devoid of meaning. For Jimenez, age 26, he means it. Eleven years ago, the decision was made, as a family, that Alejandro would make the trek from their town of Oaxaca, Mexico, into the United States. But of course the teen was fearful and had massive reservations about going. However the prospects at home were not stellar nor improving. If he could make it to America, where jobs were more plentiful, where a hard-working person could rise up, on his or her merit, he could become perhaps a productive and law-abiding citizen, then send money back to help his family. So he set off with seven others, all strangers. “I came here for a better opportunity,” Jimenez told me. “We came to Arizona; there was a fence in the desert. We went under the fence. Two people were waiting for us; a car picked us up. We went to a safe house.” They waited two days, overnight, to get to a promised land. Of course, that was a different time. That was before the man currently holding the office of the United States Presidency had declared his candidacy and made a signature stance that he wanted to halt the influx of persons coming to America, seeking to become part of the fabric, from nations like Mexico: “When Mexico sends its people, they’re not sending their best. They’re not sending you. They’re not sending you. They’re sending people that have lots of problems and they’re bringing those problems with us. They’re bringing drugs,” the divisive deal-maker now in the sight lines of special prosecutor Robert Mueller, said on June 16, 2015, announcing his intent to grab the White House. “They’re bringing crime. They’re rapists. And some, I assume, are good people,” he added, parenthetically. Let’s pause and ponder here. Some of you reading might get news and opinions from a source which basically tells you that people trying to get into this nation from south of the border are quite likely to be terrorists or are coming here intent on pillaging and plundering. Copious statistics and anecdotal evidence shows that the overwhelming majority are simply down on their luck, with two arms and legs and hopes and dreams like you and me, who want to be able to work, earn money, eat food, smile, laugh and maybe even dance. So people like that, like Alejandro Jimenez, hook on with coyotes, persons who help ferry those without documentation or papers to gain entry to a presumably gentler land. And yes, they risk death to do so because where their current situation offers slim to no hope. “The smugglers can kill you,” Alejandro told me, admitting that he felt fear during his journey to America. Bantamweight Alejandro Jimenez (foreground) and trainer Mark Roxey. … tutoring, overseeing, mentoring. Roxey is one of those “only in boxing” types. He runs a ballet company in Lambertville, New Jersey, and also juggles boxing training and advising a few guys, like Jimenez. When the kid went into that gym in New Hope, Pennsylvania, Roxey tells me he recalls a quiet teen standing in a corner, soaking it in. Someone undocumented knows not to make a ruckus. 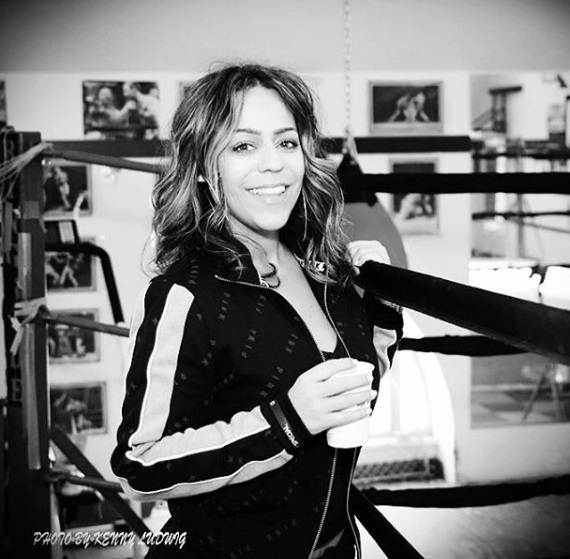 “He was peeking around a heavy bag,” Roxey recalls. Roxey made sure Jimenez was on the right track and encouraged him to work on a GED. 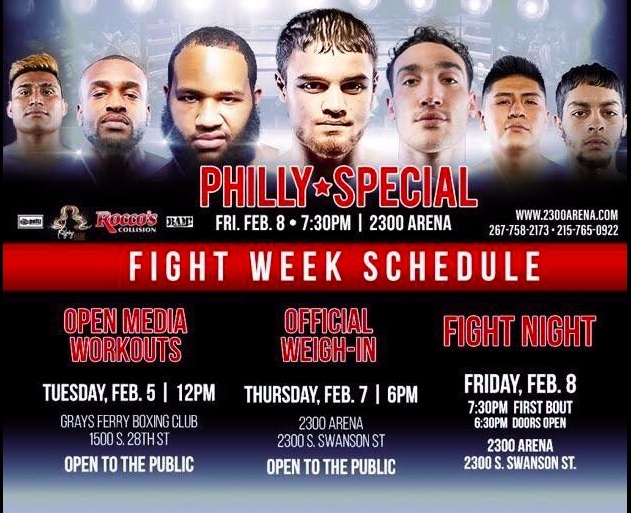 College courses are next on the to-do list, apart from getting the win Friday in Philly, on a card which will screen on Facebook FightNight Live. All that is in his head, with the added fear factor of the continued drum-beat of anti-immigrant chatter from the President, who trots out fear-mongering tales of kidnappings and sexual assault at the hands of bloodthirsty demonic coyotes and drug traffickers, while there is silence about the regular occurrences of mass shootings perpetrated by Caucasian American citizens. Jimenez is now 4-0 (with 1 knockout). He debuted last March, scoring a TKO win over Derrick Pitts Jr. He’s won three decisions and at 2300 Arena, on FNL, he fights Edgar Joe Cortes (6-4, 1 KO, from Vineland, New Jersey). And what sort of fight will Jimenez be engaged in tomorrow? 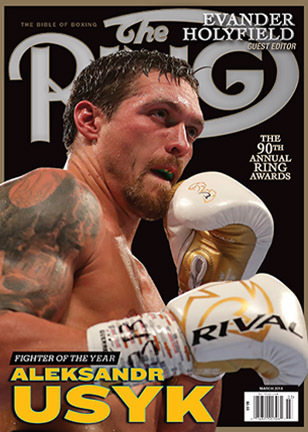 “Cortes is a southpaw and he’s strong but we’ll be prepared for whatever he brings. We are going to prove that we belong where we’re going. I want to win a world title, to show other DREAMers, other immigrants, what they can achieve if they keep dreaming and keep working hard,” he told Pandelakis. Michael Woods, a Park Slope, Brooklyn resident, was a staff writer at New York’s Newsday before joining ESPN The Magazine (2003-2014). He calls fights for Facebook FightNight Live, which has drawn over 4 million views over a span of 26 events, and does the “Talkbox” podcast for Everlast. Full disclosure: Woods will call the fight discussed in this piece for FNL. You can follow him on Twitter @Woodsy1069. 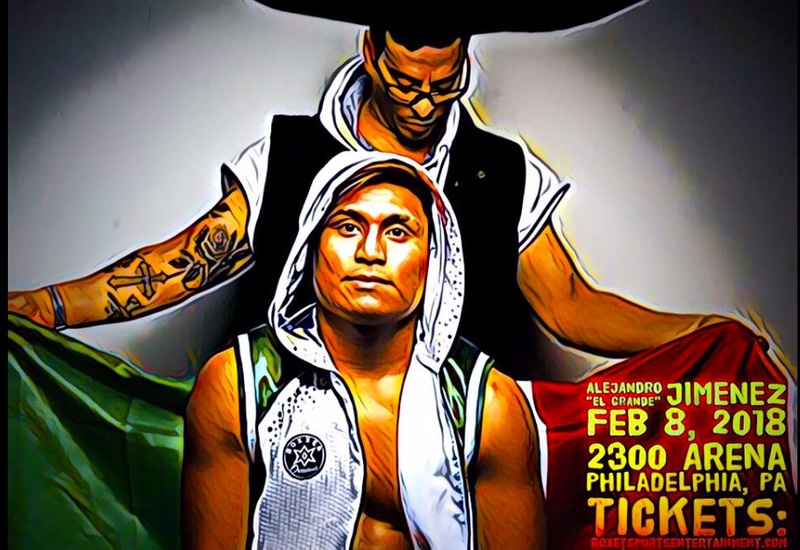 The post DREAMer Alejandro Jimenez fights Friday in Philly appeared first on The Ring. Nik Stauskas and Wade Baldwin were traded 3 times in 5 days. Then they got cut.